Despite a predictable story and slow pacing, the underlying positive messages make it fun for all ages. On the heels of hits like The Lego Movie, The Lego Batman Movie and Storks, Warner Animation Group continues to show promise with their adaptation of Sergio Pablos’ Yeti book bigfoot themed Smallfoot. Directed by veteran animators Karey Kirkpatrick (Over the Hedge, Chicken Run) and Jason Reisig (Shrek, Kung Fu Panda), Smallfoot takes a big step into a larger world of staying open-minded and a forward thinking that we could all embrace a little more. While the dialogue and visuals aren’t as daring as its ideology, the film takes a surprising turn when it urges the audience to think about what they’ve been taught their entire lives and to question it and the authority behind it. A Yeti named Migo (Channing Tatum) lives in a beautiful little mountain village high above the clouds where everyday is a good day. Among his neighbors is the ruler of the land, known as the Stonekeeper (Common), who wears a scroll of all the stones with their belief system engraved on each. These stones tell stories of how the Yetis came to be, where they came from, what came before, and all that does and does not exist in their world. Essentially, it’s like the Yeti Bible. However, after an accidental encounter with an airplane and its journalist pilot, Percy (James Cordon), Migo returns to his village announcing that not only do “smallfoots” exist, but he’s actually seen one with his own eyes. This goes against everything his fellow Yetis have been taught to believe, which is all the more important as there’s a specific stone on the Stonekeeper’s scroll showing that smallfoots are not real. As you can imagine, Stonekeeper cannot have Migo telling everyone the opposite of what the stones clearly show, so he banishes him from the village until he is ready to return and apologize for his error in judgement. Migo is certain in what he saw, however, and seeks out the help of the S.E.S (Smallfoot Evidentiary Society), a fringe group which is surprisingly led by the Stonekeeper’s daughter, Meechee (Zendaya, Spider-Man: Homecoming). Meanwhile, down at the bottom of the mountain, Percy returns having miraculously survived the plane crash even though he ejected with his parachute after the fiery crash and not before as most pilots are actually trained to do, and announced that he saw a real yeti. Determined to capture one on camera in order to boost his career and ratings as a journalist, Percy is quite surprised when he realizes he’s actually come face to face with one in his own town. And so, led by Migo and Percy respectively, their two worlds are set on a course of certain collision. Not unlike James Cameron’s Avatar, Pocahontas, and countless other films showing the culture-clash of different lands and worldviews, Smallfoot is filled with engaging characters and fun visual gags that make the most of its intriguing premise. I’m sure some will call the film’s underlying message “preachy”, and they may not be entirely wrong, though others who share similar values may find its approach of swapping lead species (Yeti over human) a refreshing and innovative take on the familiar tropes of culture shock. Channing Tatum lends his voice to a happy-go-lucky Migo who might be considered the least likely of the Yetis to step outside their norms of doing what you’re told and blending in. In this way, perhaps Migo is a symbol to the rest of us that even the quietest and seemingly most amicable among us are actually the ones who have the most power to make the greatest changes in their lives. The rest of the surprisingly large all-star cast, including LeBron James, Danny DeVito, and Gina Rodriguez, are wonderful in their portrayals of the mixed Yeti and human cast. In particular, Zendaya has ample opportunity to show off her vocal abilities in the role of the orthodoxy-questioning Meechee. Smallfoot has a fairly predictable story, and was often slow moving in its plot, but the underlying message of staying open-minded and respectful of those different from yourself rings crystal clear throughout. It also upends our expectations in creative ways, and its great fun seeing how many Yeti themed references could be onscreen before the gimmick wore out its welcome. It’s also another hit for Warner Animation Group, proving they could be a real force in the crowded world of family-friendly animation if they keep producing at this level. 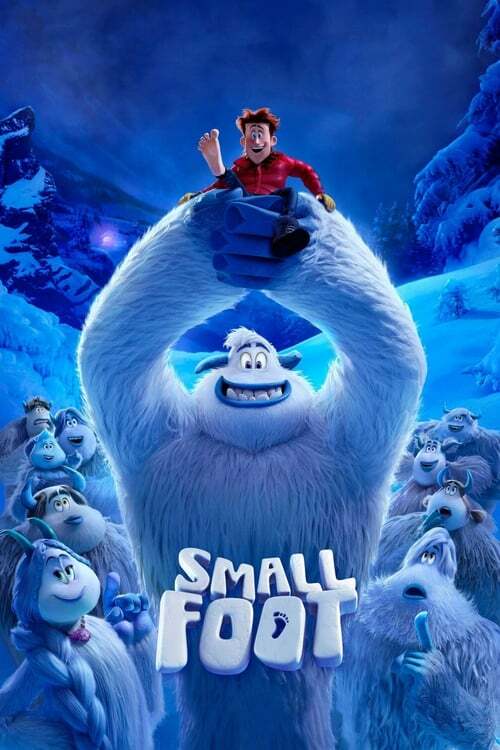 More than anything, Smallfoot’s overtly political relevance to its theme and the cheerfulness of its characters and songs are sure to keep audiences engaged.